wednesday poll: favorite twitter app? 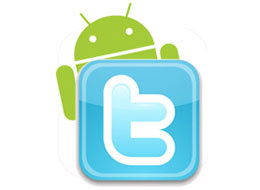 it sure seems like we have covered just about every major twitter application on the android planet doesn’t it? we looked at twidroid, seesmic, tweetcaster, and just yesterday, managed to sneak in a hootsuite review. actually, the only one we are really missing is touiteur, which hasn’t necessarily reached “major” status, but is definitely in the conversation as a player. so which one are you using? and if your twitter app of choice didn’t make our poll list, i’d love to hear what it is!